Is “splitting the difference” a way to keep the peace when it comes to ensuring collaboration at work? I argue that this practice and its consequently sub-optimal outcome is at the heart of the bad feeling some people get when they hear words like “collaboration” or “consensus.” It’s a reminder of people being unable to agree and ultimately doing what is worse-off for all the parties involved. Roger Fisher, William Ury, and their colleagues at the Harvard Negotiation Project have studied negotiation systematically. In their book, Getting to Yes: Negotiating Agreement Without Giving In they criticize “splitting the difference” as an unimaginative and often unsatisfactory compromise in a non-principled negotiation. According to them it is impossible to ensure and cultivate true collaboration if we do not engage in a thorough understanding of the parties involved. How can we benefit from Fisher and Ury’s timeless ideas to build a more collaborative environment for your team at work? This idea brings you to the heart of what Fisher and Ury call principled negotiations. The most common mistake that negotiators— and people in teams alike—make is to bargain over positions rather than interests. I want A, I want B, I want C .The result is that nobody gets anything or that people, in absence of agreement, split the darned difference. But what if we instead have a conversation about what underpins the other person’s position? For example: Why is this position good for you? What interest is this position ensuring for you? This creates a possibility for productive dialogue and exchange. Another idea that brings people to sub-optimal outcomes is the concept that for collaborating we only have two options: we are either soft and play the game as “good team player” (code for becoming a yes-man) or hard. In the latter case we prepare to win and to repeat our point until it is understood. 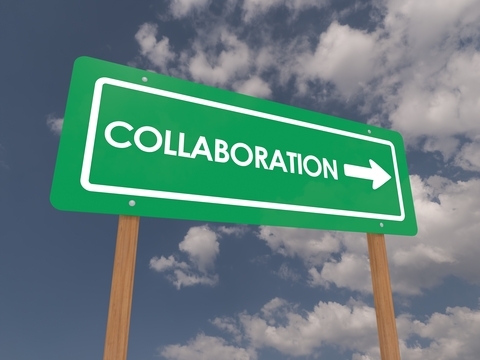 Hard collaboration places greater value on the issues or things in the transaction than on the relationships. Hard collaborators require their peers to give up ground to maintain the relationship. And when that doesn’t happen you end up with a team that is unable to work with each other. At the same time, Ury and Fisher realize that the soft/hard dichotomy can be used productively in negotiation and in team relationships: How about being hard on the problem and soft on people? This is critical for true collaboration. People focus on facts and figures. While this is important and legitimate, that doesn’t mean that perceptions do not belong to negotiation or to collaboration. Recognizing the legitimacy of differences in perception and understanding the other side’s point of view is not a hazard to be avoided but a critical step on your way to true collaboration, with its main benefit being accurate and clear communication that makes creative agreements on the work ahead possible. What could your team accomplish if it were to master those three crucial concepts for cultivating dialogue at work?